I've been writing of late about who are the biggest recipients of military contracts, the largest campaign contributors in the US (sorry but the Koch Brothers and George Soros were way down on the list), and the current trend of Millennials, the largest demographic in America, away from capitalism in favor of Democratic Socialism, Communism, and even Fascism. Meanwhile, Generation Z, who are following the Millennials, seem to be headed in the opposite direction, although they are still relatively young and not fully integrated into job market yet. What I've been looking at is segments of the ruling Oligarchy and, based on Millennial trends, which way America might be headed. Are we headed toward Left leaning Fascism or Right leaning Fascism? Of course, as I explained in numerous articles, Fascism is hard to define, especially when we use the outdated modes of a "Left/Right" model. It's a merger of State and Big Business. In theory, it's suppose to be a "equal partnership" but as a matter of practice, the State became dominant. Today's fascism differs in that the State has become more of a junior partner. Fascism also, as you should know by now, borrows from the history and traditions of its host country, which is why the Fascism of Italy was different from the Fascism of Spain or Hungary, or the Fascism of Romania or that of Germany or even Argentina. Nevertheless, overall, Fascism takes on a Right Wing tilt since its essentially nationalist, militaristic, and regressive. That is, it has a feudalistic quality to it. The notion of America becoming "Socialist" or Communist is absurd. Why? Because under both systems there would be little to know capitalism. 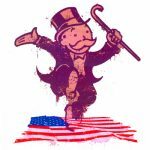 Do you think for one minute that the 1% are going to surrender their wealth and power, then you're either naive or serious out of touch with reality. 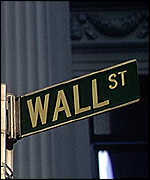 Wall Street and the big banks or financial giants which dominate the economic landscape like JP Morgan Chase, Bank of America, Goldman Sachs, or Morgan Stanley are not going to agree to be absorbed by the government. It's just not going to happen, especially when they are part of the ruling Oligarchy. Under Communism, there is no private enterprise while under Democratic Socialism. the State severely restricts corporate power. The Supreme Court's great error---upholding Citizens United which made corporations "people" (I refer to them as "Frankensteins") and uncapped the genie in the bottle by declaring the money was equitant to "free speech" and thus couldn't be restricted ensured that corporations would dominate politics openly. Of course, we mere flesh and blood types are still restricted in what we can donate. There's no way we can amass the kind of money that corporations donate. In addition, corporations employ thousands of full time lobbyists who have basically unlimited funds to cater to nearly every need. In addition, they politicians have come to rely on lobbyists to help write and interrupt bills, provide legislative research and summaries. Of course, then there's all those really nice perks! Besides, most politicians leaving office end up as a lobbyist or consultant along with a handsome six figure salary (in addition to the lifetime salary and benefits they take with them when leaving office). As the American People, well, we don't seem to have any lobbyists working on our behalf. So then, who are these political errand men and women who work at the behest of these corporate "Frankensteins"? Well, let's look at what industries they represent since that will give an idea at the who the power brokers are. Coming in the top spot is Legal Industries which often represent special issues or groups which typically have a very specific agenda. They donated on behalf of their employers $64, 577,411. Interestingly, 70% of this went to Democrats in Congress with Senator Claire McCaskell (D-MO) getting the highest percentage (these are all based on 2017/2018 election cycle figures) at $4.7 million dollars. Senator McCaskell sits on the Armed Services, Financial, and Homeland Security and Governmental Affairs (as a ranking member) committees. The second spot was various private trust funds and retired wealthy individuals. Together, they contributed just under $60 million dollars, with 54% going to Democrats; Senator Ted Cruz (R-TX) got the single largest share though--$3.4 million. Cruz sits on the Armed Services, Judiciary, Rules and Administration, and Commerce, Science and Transportation committees. As an aside, while not an "industry", the AARP, a senior's oriented advocacy group, falls into this group since it's comprised of these often well-to-do retirees . The group has approximately 37 million members, although those numbers have been declining. In 2010, AARP donated $27.9 million dollars to Congressional members. However, by 2014 that number had dropped to $8.9 million. Next is the Securities, Investment and Financial industry. They gave just under $50 million dollars. 54% of it went to Democrats in Congress, with Senator McCaskell getting the biggest chunk with $1.7 million. Coming in fourth was the Real Estate industry, which donated $42,328,934, of which 52% went to Democrats. The single largest winner was Sherrod Brown (D-OH), who sits on the Finance, Veteran Affairs, Agriculture, Nutrition, and Forestry, and Banking, Housing, and Urban Affairs (as a ranking member) committees. Senator Brown did well with the fifth place contributor, Health Professionals, too. Health Professionals ponied up $34,528,421 with 51% going to Democrats. Senator Brown was the biggest recipient. The Health Professionals as an industry consists of medical doctors and surgeons, pharmacists, nutritionists, and psychiatrists. During the 2015/2016 election cycle, they gave $136 million to candidates and causes, which, while down from the 2012 total of $154 million, still was nearly three times what the top commercial banks gave. While we're on the topic. Health Services and HMOs was ranked 30th on the list. They donated $8.9 million dollars, of which 51% went to Republicans. Nevertheless, our ole friend, Senator McCaskell was the financial winner. Hospital and Nursing Homes was 31st with $8.7 million dollars raised, and our other ole friend, Senator Brown getting the lion's share despite 56% of the money raised going to Democrats. Leadership PACs took the sixth spot. These are PACs established by current or past Congressional members as well as others political types who prominent (and influential) enough to raise the big money. Leadership PACs are designed plain and simple to buy friends and influence agendas. The money can be used to pay individuals not eligible by other means, airfares, raise the politician's profile, pay for events, and argument lifestyles. On average politicians work 12 hour days, however, only 2 to 3 hours are actually spent on genuine issues. The rest is spent raising money for either the party and/or their Leadership PAC. During the 2017/18 election cycle, Leadership PACs raised $32,151,705 dollars. When broken down, just 38% of the money went to Democrats while Republicans raised the other 62%. Who raised the most? Senator Joe Donnelly (D-IN) with $524,200 dollars. Next is the Insurance Industry. They pitched in $30,227,987 dollars (nice to see a part of your premiums being well spent isn't it?). 59% went to Republicans, but ole Sharrod Brown (D-OH) go the biggest piece of the pie . Eighth on the list was Liberal/Progressive and Democrat leaning groups. Though not quite an "industry" per se, they do act similar to one nevertheless. As you might guess, the GOP got none of the $26,793,098 raised. The biggest beneficiary was Doug Jones (D-AL). Senator Jones serves on the Special Committee for Aging, Committee for Homeland Security and Governmental Affairs, Health, Education, Labor, and Pensions, and the Banking, Housing, and Urban Affairs committees. By the way, the Republicans/Conservatives have one of these "industries" too. However, it's ranked in the 38th position. It raised from conservative groups $6,965,929, and yeah, all of it went to the GOP. Who was the biggest beneficiary? Why that would that Senator from the Lone Star State, Ted Cruz. You might also like to know that Republicans benefited the most by the Supreme Court's "Citizens United" mistake. In 2012, GOP and conservative groups raised and spent $65 million dollars, which pales compared to the $105 million they raised during the 2015/16 election cycle. Lobbyists are in ninth place. The lobbyist industry represents businesses trade associations, and special issues as we've discussed. As a group, they've raised just a little under $20 million dollars with 55% going to the GOP and the remaining 44% to Democrats. Senator Bob Casey (D-PA) got the most. He also did the best with our tenth spot industry, Pharmacy and Health Products. That group coughed up $16.5 million dollars. So what's so special about Senator Casey? He sits on the Finance, Health, Education, Labor and Pensions, and the Agriculture, Nutrition, and Forestry committees (he also sits on two of the same committees as Senator Brown). The list covers the top 50 industries in terms of the money raised and who benefited. Rather than list the remaining 40, I've included a link to the site in case you'd like to check it out for yourself. However, I thought it was interesting that certain names kept appearing. Senator Jones made five of the other top spots, including the Internet industry, Electronics Manufacturing, and Education. Sherrod Brown showed up three more times, Business Services (such as management consultants, marketing and advertising, or shipping companies), the Entertainment Industry (TV/Movies/Music), Public Sector Unions. Finally, ole Claire McCaskell. Senator McCaskell appeared seven more times! Some of these included Publishing, Non-Profits, and Health Services. By now, you have to be wondering about military contractors, gaming, commercial banking or the oil and gas industry. While most of these are included in other industries such as through as subsidiary or fall under lobbyist industry, they also contributed based on their prime industry. Defense Aerospace gave $9.3 million dollars, of which 58% went to Republicans while Defense Electronics gave $5.9 million dollars . 59% of that went to the GOP as well. Air Transport donated $9.1 million, of which Republicans got 63%. Casinos and Gaming Industry bet $5.3 million dollars, with 52% of that going to Democrats. The commercial banking industry deposited just under $15.4 in the hands of Legislatures; 65% of that going to Republican accounts. The Oil and Gas industry did slightly better at $15.9 million dollars with a whopping 84% going to Republicans. Now for those who think unions are on par with big business, the Building Trades Union industry raised just $8.6 million dollars (coming in 32nd place). As usual, 80% went to Democrats. As mentioned earlier, the Public Sector Union industry, in the 27th spot, raised $9.1 million while in 25th place, the Transport Union industry donated $9.4 million dollars, all of which is chump change compared with, say, commercial bank or the oil and gas industries. As someone who is a former union state chairman, vice chairman of the national local, served on several national committees, a local labor council, and active in politics for well over 40 years, unions are, in my opinion, making a grave mistakes by supporting just one party; writing a blank check as it were rather than supporting individual candidates regardless of political party. Unions are in decline and have been for decades. They are in such bad shape, they've resorted to supporting illegal immigrants just to get new member dues. It seems to me they need friends on both sides of the aisle. I would go as far as to says unions need their own political party like every other industrialized country has. I've witnessed Democrats openly making fun of unions and disrespecting unions in general. They fail to use union products or even display the union "bug" on their campaign material, and yet unions endorse them, give them money, and supply volunteers. Once elected, they may or may not support union causes (usually the latter) whereas candidates who are active union members, who use union made products and have the union "bug" who happen to have an "R" or "I" behind their name barely get an audience. Personally, I think it's a grave mistake. Lastly, there are a few other industries which bear mentioning. The Women's Issues "industry", which is a collection of various groups ranging from equal pay, abortion rights, women's education and voting, domestic abuse, and so forth) raised $12.9 million, and gave 90% of that to Democrats (with McCaskell getting the majority of it). The Pro-Israel "industry" (lobby really) came up with $8.5 million, and while the GOP has historically done the most for Israel, gave 72% to Democrats. Also falling under the category of an "industry", Human Rights groups raised just a little over $6 million; 87% of which went to Democrats, and finally, the Telecommunications Industry, which donated just over $9 million dollars. 53% of the going to Republicans. So, I'm sure you found some surprises here as did I. Nevertheless, out of these top 50 industries, I didn't find one which was specifically related to the common everyday working American. Perhaps you could make an argument for the Human Rights or Women's Issues "industries" or maybe the unions. Even so, it pales to the other industries and what they've contributed, however, this is obviously not a Republican or Democrat issue. Perhaps symbolically, of the 50 industries listed, the split was 50/50 between parties as to who got the most money. 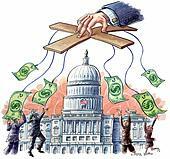 It's a "money-running-amuck" issue; the legacy of Citizens United. Nevertheless, you can easily see how the average American feels to overwhelmed and "outgunned" by such huge sums of corporate money. When coupled with gerrymandering and unlimited term limits (and nearly unlimited money for campaigns), it's pretty easy to see how we've lost our Constitutional Republic to the plutocrats who make up the ruling Oligarchy. The only question is what are we going to do about it?